Sorry, this product is no longer available. Please Contact Us for a replacement. The all-new FortiBridge 3000-series family of bypass appliances enables network security and visibility in scenarios that demand the highest level of network availability and uptime. 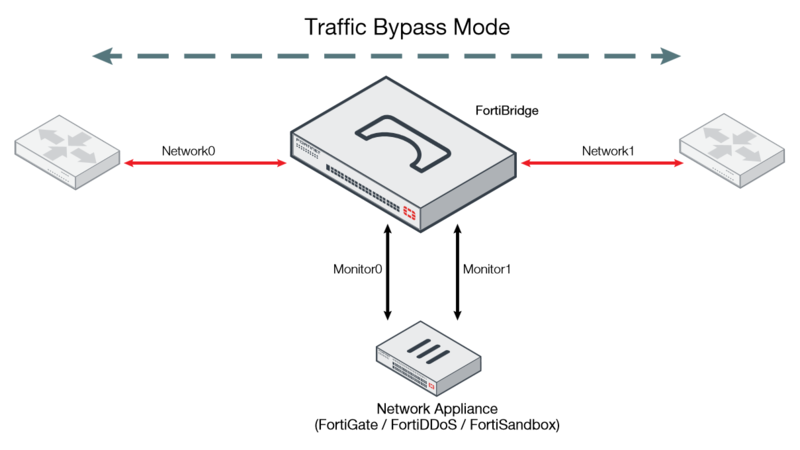 FortiBridge allows fail-to-wire bypass functionality to be quickly and easily added to an existing FortiGate or other network device deployment. In the case of a hardware or software failure or any other device outage, the FortiBridge will directly bridge the WAN-to-LAN segments to ensure unimpeded network connectivity and availability around the offline device. When the FortiBridge appliance detects that functionality is restored, it can automatically revert traffic back through the FortiGate or other network device. 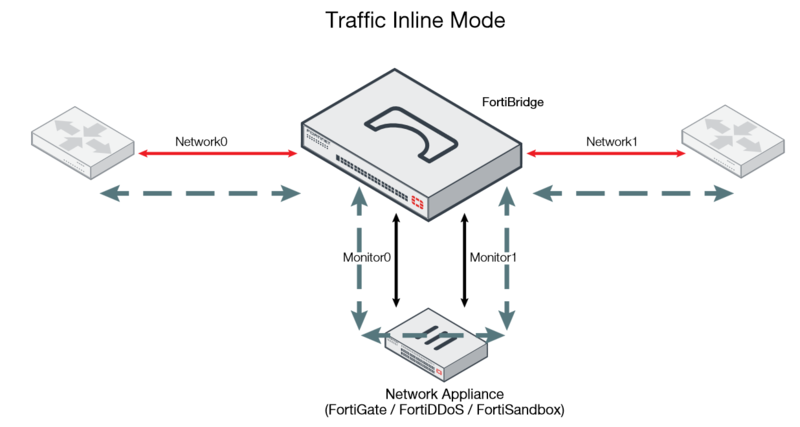 FortiBridge appliances can also be deployed in bypass mode by default to ensure maximum network throughput during normal conditions, but re-route traffic during periods of heightened threat activity to a FortiGate or other network security device. Various FortiBridge models provide flexibility to support a range of network configurations, including support for high-speed 10 GE or 40 GE ports, short-range or long-range transceivers, and bypass functionality for up to 4 network segments. Standalone 1 RU Appliance Enables you to add bypass functionality to any existing inline security system, including FortiGate® consolidated security systems. Remote Configuration\ and Monitoring Enables you to monitor and control the bypass status of network segments remotely, with the ability to view mode of operation, manually switch the appliance into bypass or normal operation mode, and configure thresholds for automatic bypass fail-to-wire.